Product prices and availability are accurate as of 2019-04-19 07:41:49 EDT and are subject to change. Any price and availability information displayed on http://www.amazon.com/ at the time of purchase will apply to the purchase of this product. 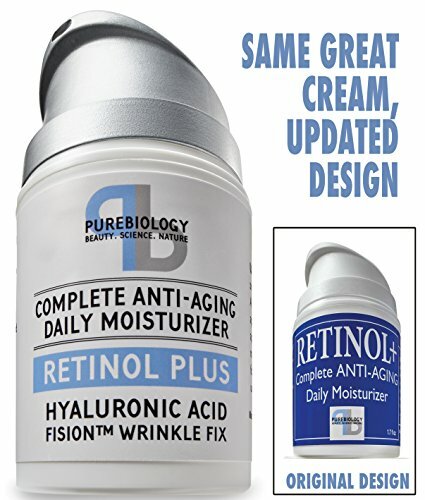 THE STRONGEST NON-PRESCRIPTION ANTI-AGING BLEND - Time-tested base ingredients are enhanced with 2.5% active retinol, hyaluronic acid & FisionTM Wrinkle Fix, a proprietary anti-wrinkle ingredient that has been clinically shown to deliver the most potent anti-aging benefits among non-RX grade cosmetics. 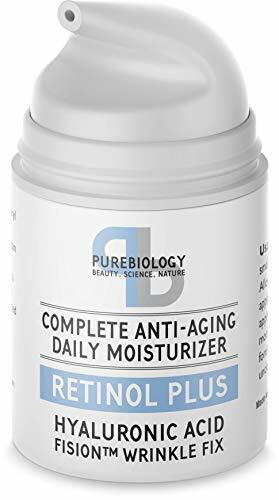 GENTLE & EFFECTIVE - This formulation contains natural healing & hydrating ingredients, such as Aloe & Jojoba Oil, to soothe skin and guard against drying and peeling caused by many Retinol products. SILKY SMOOTH APPLICATION FOR ALL SKIN TYPES - This lightweight formula goes on like a serum, feels like a gel and hydrates like a thick cream; Quick drying with no tacky residue left behind (ideal for daytime use under-make-up); Suitable for all skin types, including sensitive, oily & acne-prone skin. 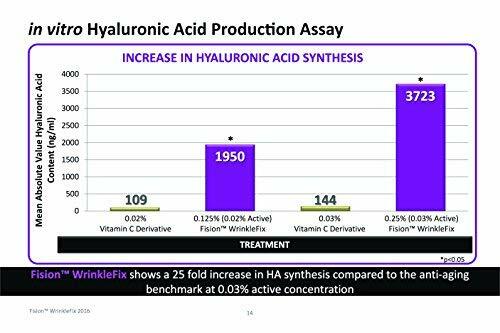 FISIONTM WRINKLE FIX - This naturally-derived, breakthrough formulation has been clinically shown to drastically reduce wrinkle depth and age spots by promoting significant surges in hyaluronic acid production. 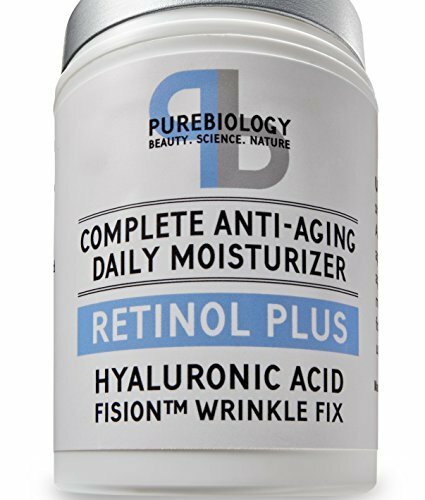 Lab studies have shown remarkable increases in hyaluronic acid synthesis and cellular vitality compared to popular anti-aging benchmarks. OUR PROMISE TO YOU - Comprised largely of natural ingredients, our formula is free of harmful additives, parabens, GMO's and cruelty (not tested on animals) and made in the USA. We take pride in our formulations and we want you to love them. If for any reason you are not 100% satisfied with the cream or the results, simply message us and we will process an immediate refund - no questions asked.